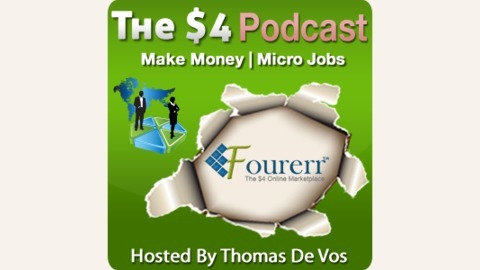 The $4 Podcast: Making money online with Micro Jobs on Fourerr. 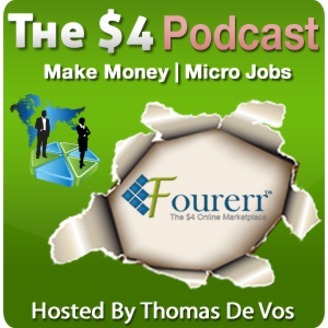 Fourerr 005: Is Your Fourerr Picture Worth A Thousand Words? Fourerr 003: How to make use of Fourerr as a Seller? Fourerr 002: How to make use of Fourerr as a Buyer? Fourerr 001: How to Submit Your Fourerr Gigs Automatically To Twitter and Facebook?